Imagine discovering that your entire store of client, financial, or project information has disappeared in the wink of an eye. It's a nightmarish thought – but it happens all the time. 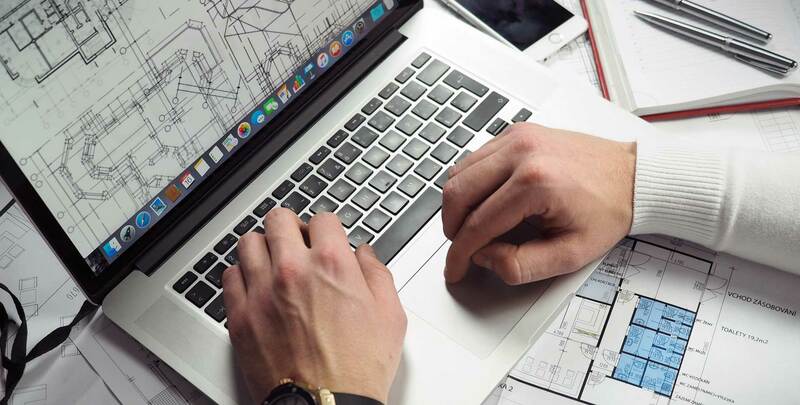 Some 60 percent of businesses that fall victim to catastrophic data loss end up having to close their doors. That's a frightening number – but you can avoid becoming a statistic by performing regular data backups. Even so, there are smarter ways and less-smart ways to go about protecting your precious data from oblivion. 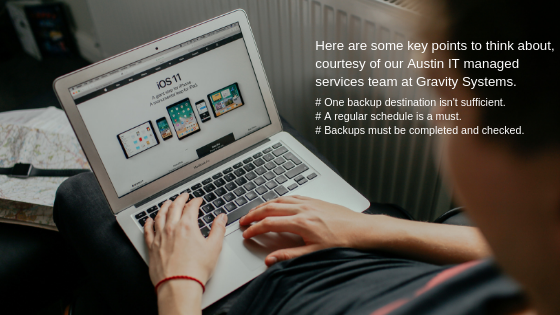 Here are some key points to think about, courtesy of our Austin IT managed services team at Gravity Systems. One backup destination isn't sufficient. Did you know that over 140,000 hard drives fail on a weekly basis in this country alone? If one of those hard drives is your one-and-only designed backup drive, you're out of luck. Consider getting a multi-drive RAID system or making simultaneous backups to other media such as tape. A regular schedule is a must. You need to schedule your backups to occur at regular, predictable increments. Modern automated backups systems can make this a simple process. While the time period is up to you, think about how many days of data loss your business could realistically handle before making your choice. Backups must be completed and checked. 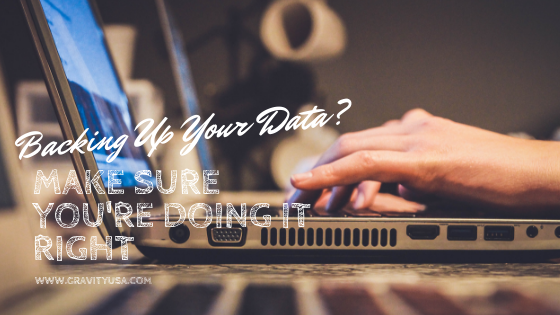 Those regular backups may be routine and even boring tasks, but that's no reason to do a slapdash job of them. An incomplete or corrupted backup is no better than no backup at all. Monitoring your backup as you go and then checking the results can help you catch a glitch in time to run the backup again. Want to make your data backups as consistent, successful, and reliable as possible? Consider outsourcing this critical but time-consuming task to Gravity Systems. Contact us today to find out how!